What can you do to help me with an external noise nuisance? Your most efficient method is for us to fit new secondary glazing or new double glazing. Fitting an acoustic laminated glass as used in recording studios is a further option. If my double glazing is broken or steamed up will I require a whole new window? No, not at all, we can fit a new sealed double glazed unit into your existing window, the frame will normally be fine. With some PVC doors the glass is sealed in, these would require a complete new panel fitted into the existing door sash. Can I have double glazing fitted in my house? Most homes can have double glazing fitted unless they are a higher category listed building. It is best to check with the local council planning department before replacing your windows. How quickly can you replace a double glazed unit? We can fit one within an hour, some truly sealed units can be manufactured within 3 days. I want to fit a cat flap and a fan in my double glazing, can a hole be cut in it? No, sorry you would require a new double glazed unit with the holes already cut in both panes, we recommend these units should be toughened safety glass due to the stress factor round the hole. My windows suffer from condensation, what can be done? Condensation within double glazed units only happens when they fail, they will need to be replaced. If the condensation is on the internal side of the glass (you can touch it), it is due to cold transfer and/or lack of ventilation. New warm edge argon filled double glazing will help but you still need to ventilate the room. My window has dropped and is hitting the frame when opening it, do I need a new window? No, our trained engineers can adjust most modern windows and doors, some may require another method they carry out called hinge blocking, or you may need us to install new hinges. My sash and case window is suffering from wood rot can you fix that for me? We can fit new half cills and make new sashes, but, if the case (sides of the frame) are bad you will probably require a new window. We supply and install all types of windows with up to full a 12 years guarantee. We have draughty sash windows and a bit of a noise nuisance, what do you suggest? Sounds like our draught proofing service may be ideal for you, or we could install new secondary glazing or completely new top A rated double glazed windows. We really want a new front door and are also thinking about new windows, how do we arrange this? Call or email us for an appointment with one of our estimators (not sales people) they will quickly advise you on styles, colours and take sizes then have a proper estimate sent out to you as soon as possible with no pressure at all. We will not follow up or give your details to any sales people what so ever. 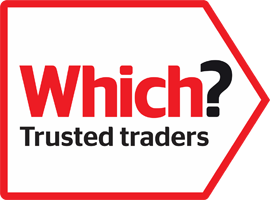 If you are interested please just call in to our showroom where our staff will help you further with your choice of Timber, Composite, Aluminium or PVC. Clear float glass weighs 2.5kg per 1mm of thickness @ 1sq meter. To help with any calculations you may require please check the following:- Thickness = kg per sqm.......... 2mm = 5kg..... 4mm = 10kg..... 5mm = 12.5kg..... 6mm = 15kg..... 8mm = 20kg..... 10mm = 25kg..... 12mm = 30kg..... 15mm = 37.5kg..... 19mm = 47.5kg..... Double and triple glazed sealed units will be a multiple of the above depending on their configuration. Remember to add a bit extra for the various types of spacer bars used between the glass panes. With laminated glass the interlayer can vary in thickness and also type therefore the weight will change slightly.